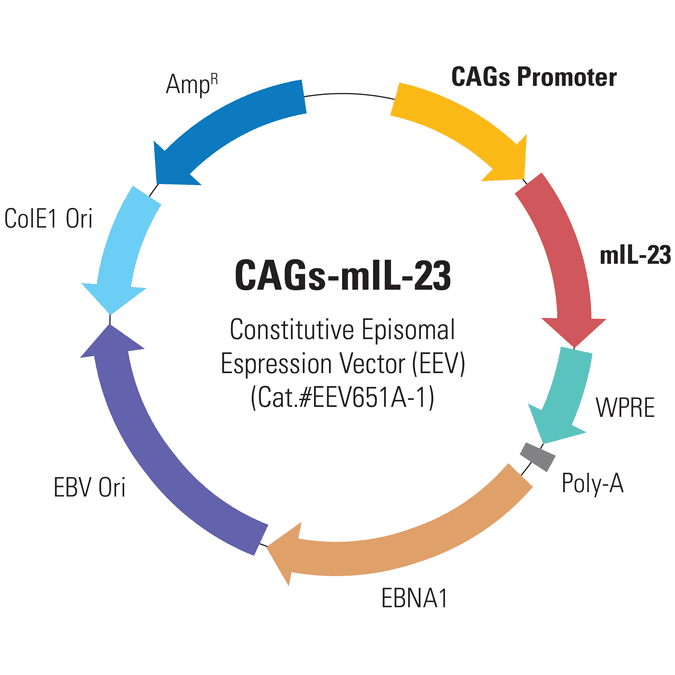 With virtually no limits on insert size (unlike AAV vectors) Enhanced Episomal Vectors (EEVs) are an excellent choice for non-integrating, non-viral gene expression. 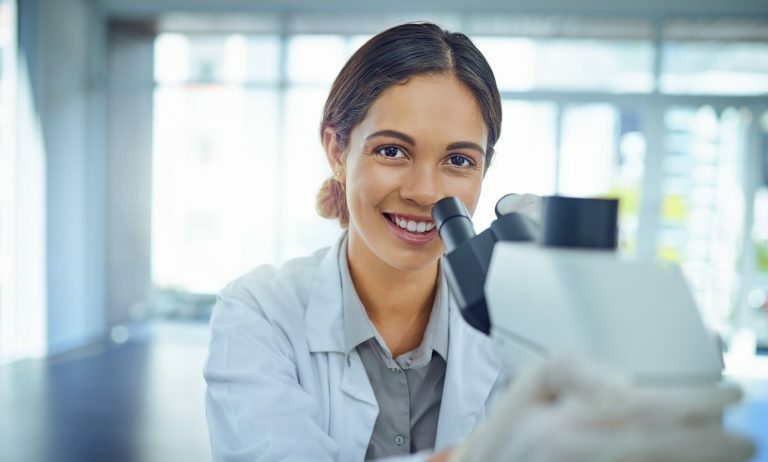 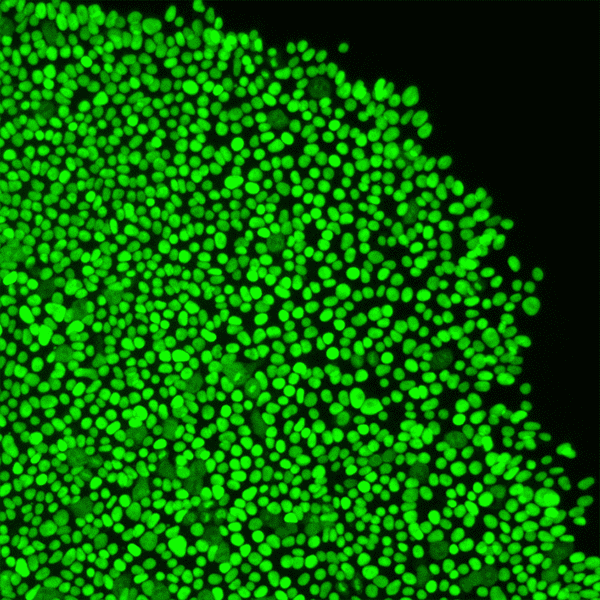 Because they replicate in synchrony with the host cell, they are stably inherited and can be used for long-lasting expression—up to several months—without modifying the host genome. 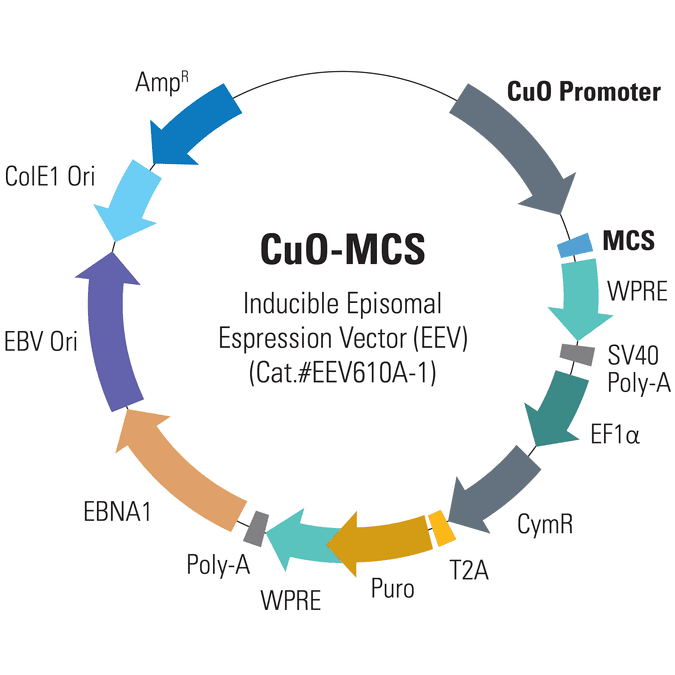 Get sustained, non-integrating gene expression in vitro and in vivo with EEV episomal expression vectors. 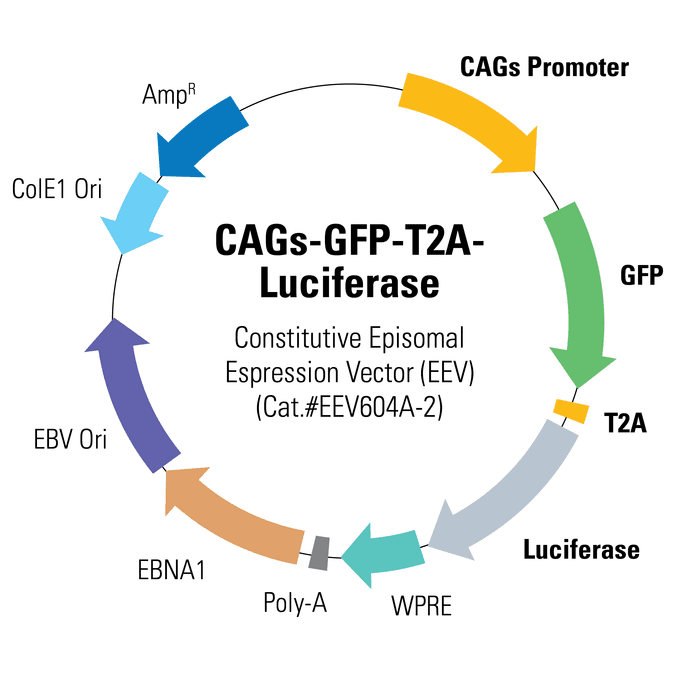 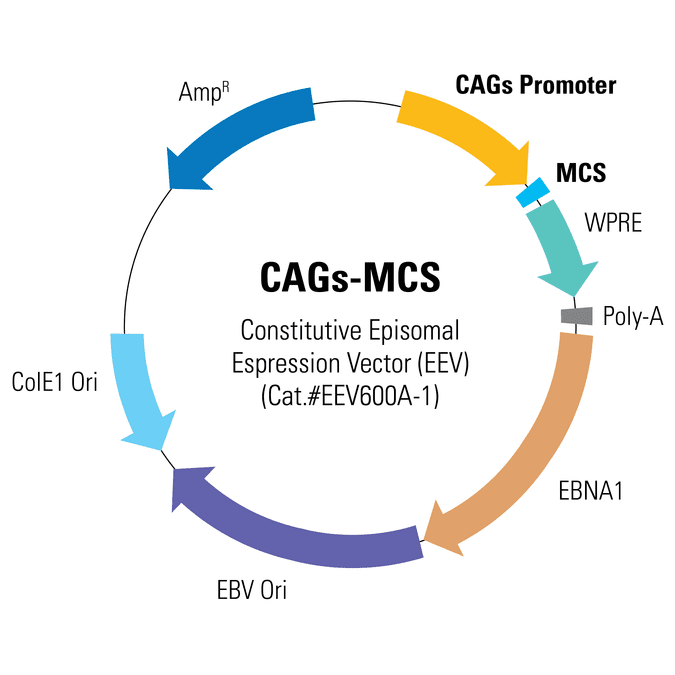 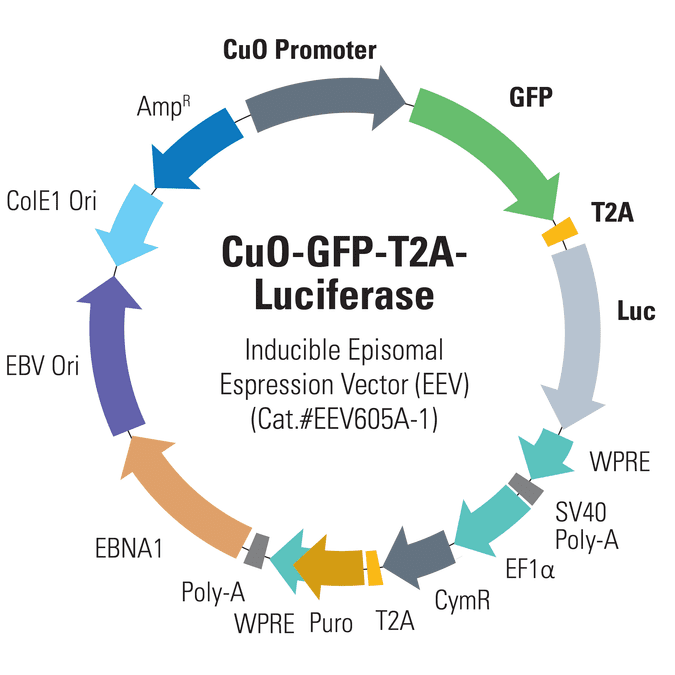 SBI’s EEV episomal expression vectors come in both constitutive and inducible gene expression formats.